The Pro 2 2000 wins, primarily because it offers more cleaning power, pressure sensor and double the battery life, making it a worthwhile upgrade. However, the Pro 600 is excellent option if you want the benefits of electric on a budget. The Pro 2 2000 has 2 cleaning modes (Daily Clean & Gum Care) compared to the 1 mode (Daily Clean) on the Pro 600. The Pro 2 2000 has a Lithium-Ion battery offering 2 weeks battery life compared to the Nickel Metal Hydride in the 600, that offers just 7 days. The Pro 2 2000 has a pressure sensor that the Pro 600 does not. The Pro 600 is available in 4 different variants compared to the Pro 2 2000 that is available in 3 variants each – Each variant has a different brush head. The Pro 2 2000 comes in Blue/White or Pink/White whilst the Pro 600 comes in a Pale Blue/White. The Pro 600 is the cheaper of the two. 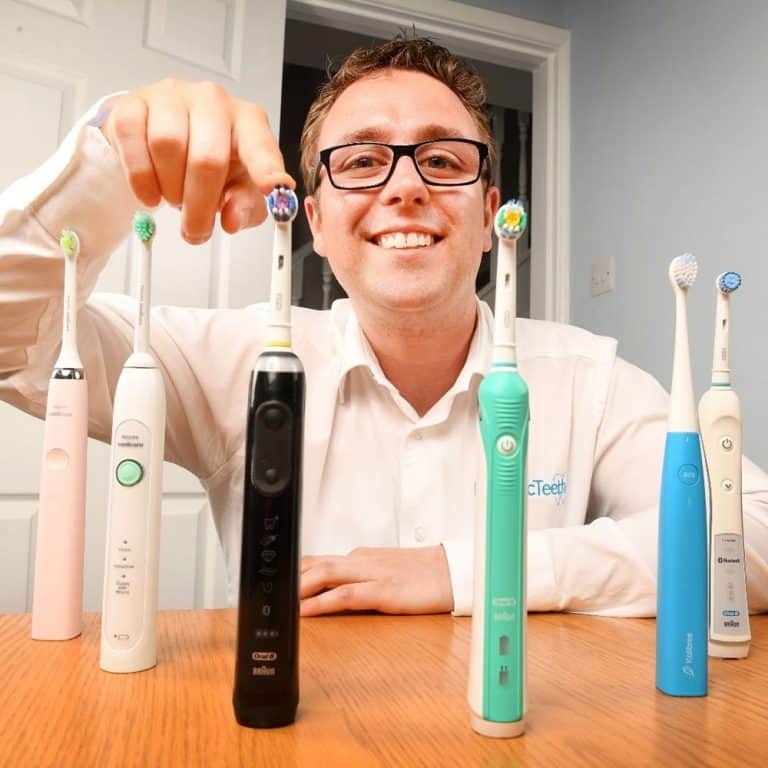 In 2017 Oral-B have launched the Pro 2 2000 which we are comparing here alongside the Pro 600. The only difference between the older model and 2017’s model is the battery. The older NiMH battery has been replaced with Li-Ion, doubling the battery life. The 600 has not been updated. A comparison of the older Pro 2000 compared to the Pro 600 is available here. 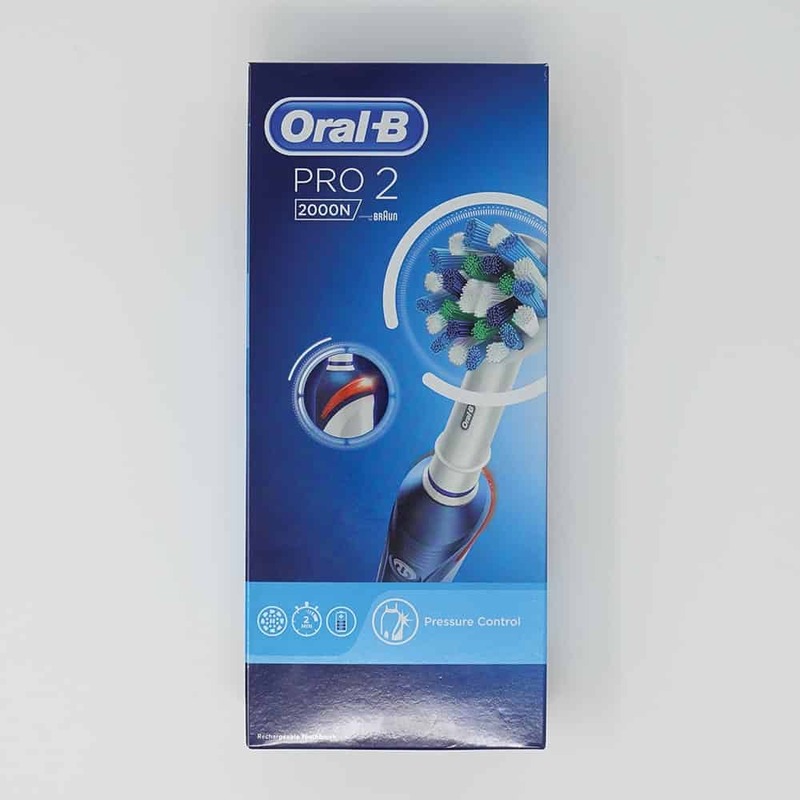 Detailed Comparison: What’s the difference between the Oral-B Pro 600 and Pro 2 2000? So let’s take a detailed look at the two and explain the differences. Starting with the cleaning modes, the Pro 600 offers just 1 cleaning mode, Daily Clean. 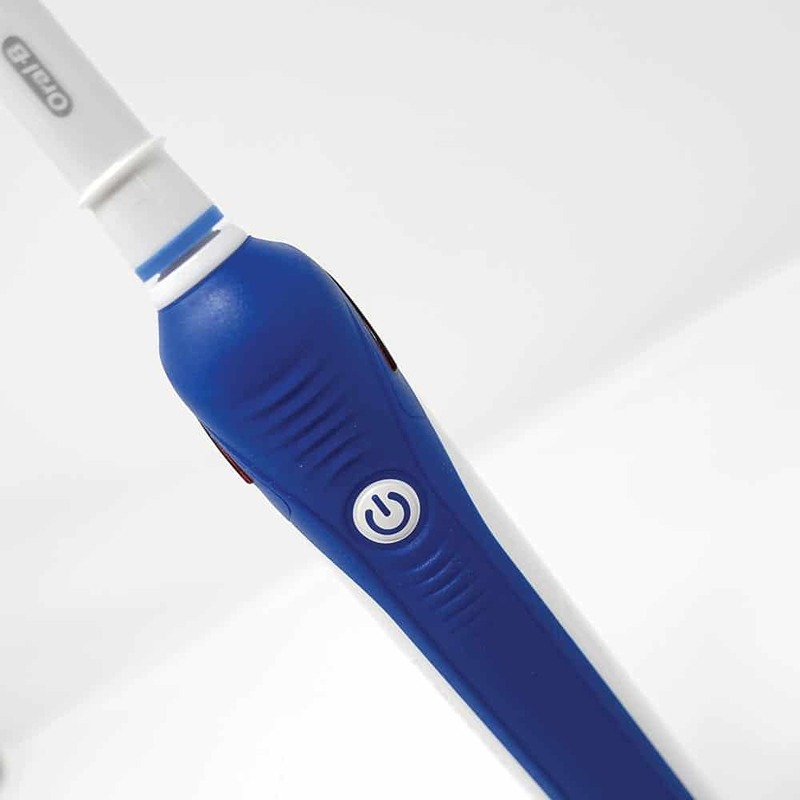 This is the default, go to mode available on all Oral-B brushes, including the Pro 2 2000. The cleaning cycle lasts for 2 minutes, 30 seconds for each quadrant. The 2 2000 has a second mode, Gum Care. Ideally suited for those with sore or inflamed and even bleeding gums. It offers a gentle massage of gums to stimulate blood flow and strengthen and nurture the gum tissue. The cleaning cycle lasts for 2 minutes like Daily Clean. For many the Gum Care mode will not be required, but if you do suffer with particularly sore gums you may find it useful particularly when paired with a Sensitive brush head. A small difference and one that really is only noticeable when using the brushes side by side (even then you are hard pushed to tell) is that the motor on the Pro 2 2000 is more powerful. If offers more movements than the Pro 600. Long term this can make the 2000 the better brush for cleaning by the 600 is a massive step up on any manual brushing. Both have a battery built into the handle, the Pro 600 a Nickel Metal Hydride (NiMH) battery and the Pro 2 2000 a Lithium-Ion (Li-Ion). The 600 offers up to 7 days battery life or 28 minutes of brushing timer. The Pro 2 2000 offers at least double that at 2 weeks. In fact our hands on testing achieved 16 days or 64 minutes of brushing time. The 600 does not have this pressure sensor. The motor would slow down, but it would not give the visual warning. It is very useful, particularly for new electric toothbrush users, but after a short while you do get used to the amount of pressure you need apply. Oral-B offer a range of different brush heads, all of which are interchangeable. This means if your brush comes with a Sensitive brush head you can change it for a 3D White head at a later point if you want. A clip on and off system makes this very easy. Whilst it would be nice to buy a Pink handled Pro 2 2000 with a CrossAction brush head, this is not normally how they come packaged; but of course the head can be changed. As a result of the 600 having less features it is normally cheaper, more on that shortly. Technically, the more powerful motor found in the Pro 2 2000 means more movements in the brush head and the ability to clean better than the Pro 600. The Pro 600 tends to be available for approximately half the price of the 2000. At the time of writing the Pro 600 is being sold for £19.95 compared to the £34.98 for the Pro 2 2000.. Going by the RRP there is a £20 difference, the Pro 2 2000 commanding the premium but the reality is that the actual real world price difference is a little less, about £15. Very useful to get information on the batteries and the different brush heads. Thank you for your write up. No problem Geraldine, glad it helped.